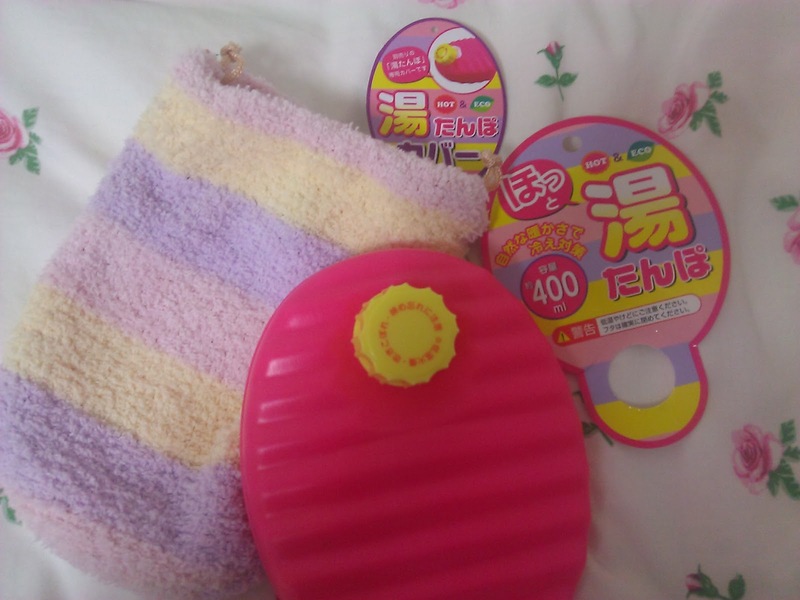 Since electricity bill has gone up last year probably due to the minimised use of nuclear reactors and dependence on limited resources, I decided to explore the Japanese methods of keeping warm. 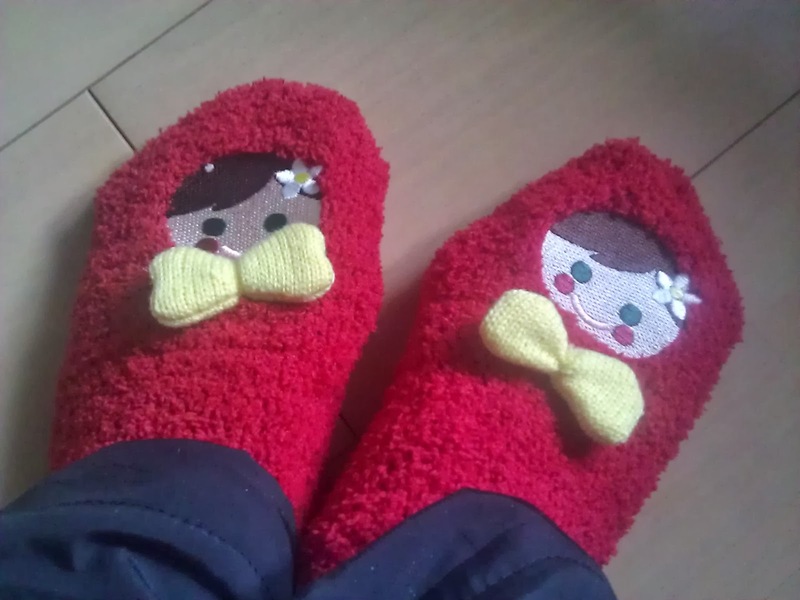 Wearing thick socks is a no-brainer, but one will be amazed at the number of colourful and cute socks in Japan. I had gotten these as birthday gifts from Yuri last year, so they were very timely. I had seen these haramaki pants for some time now but never really thought of getting them until a conversation with Hyun when she was preparing to head back to Korea for the New Year's. Basically these are like warm woolly shorts that you wear on top of your undies. I guess this is the Japanese version of long johns. Directly translated to "belly wrapper", you can get them for as cheap as JPY100. The cuter ones or with better materials are usually more expensive. These were on sale because they were trying to clear last year's inventory! The other suggestion was the yutanpo, which is commonly known as hot water bottle. I was really happy to see these at the 100yen shop since I was just trying it out. I thought it was quite cute, with a little woolen pouch. I just slip these under the comforter before going to sleep. It does a reasonable job of keeping the bed warm, so now I don't need an electric blanket!